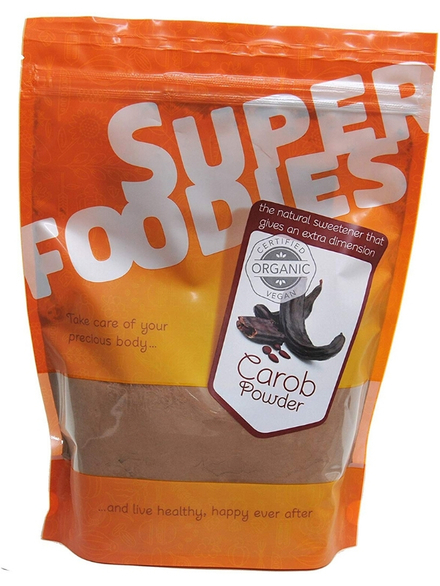 Carob Powder [Unroasted], Organic 100g (Superfoodies) - HealthySupplies.co.uk. Buy Online. Mimics the flavour of cocoa/cacao. Use instead of Cacao Powder. 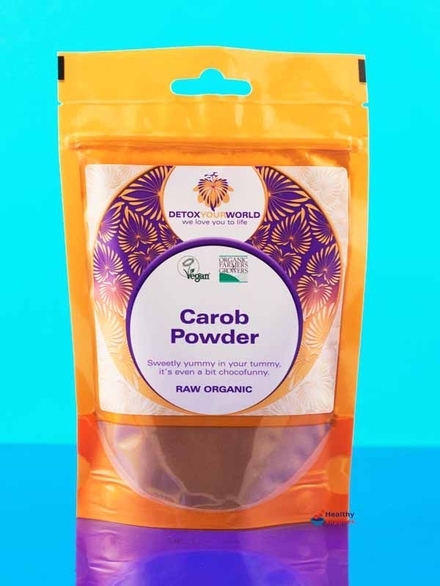 Carob Powder is very similar to Cacao, but with a more subtle flavour and a mild roasted coffee aroma. It tastes much sweeter and is lighter in colour than roasted carob powder. The flavour of Carob flour or powder partners well with banana, honey, orange and hazelnuts. To help mimic the flavour of chocolate in your cooking and baking, try adding Vanilla Powder or Vanilla Extract to the recipe. This dark powder can be used to make a Caffeine-free hot chocolate or chocolate style milkshake. You can also enhance the flavour and sweeten cacao based chocolate with the addition of a small amount of this lovely powder. Organic Raw Carob Powder. Produce of Italy. Store in a sealed container after opening. For the best flavour use within two months.